The S&P remains stuck at its 2810 resistance level. Meanwhile, various economic indicators are flashing warning signs but not immediately bearish signs. Towards the end of a bull market, it’s very hard to know exactly how much gas there is left in the bull market’s tank. That’s why it’s better to focus on risk-reward instead of timing exact tops and bottoms. As expected, the housing market remains mediocre. The latest reading for New Home Sales fell from its previous reading, but more importantly, New Home Sales’ 12 month moving average has fallen more than -2.4% in the past 5 months. Focus on the data’s trend instead of month-to-month readings. Here’s what happens next to the S&P when New Home Sales’ 12 month moving average falls more than -2.4% over the past 5 months. As you can see, this happens near some bull market tops. September 1968: the start of a bear market. Not immediately bearish for stocks, but something to watch out for in case the weakness in housing persists. 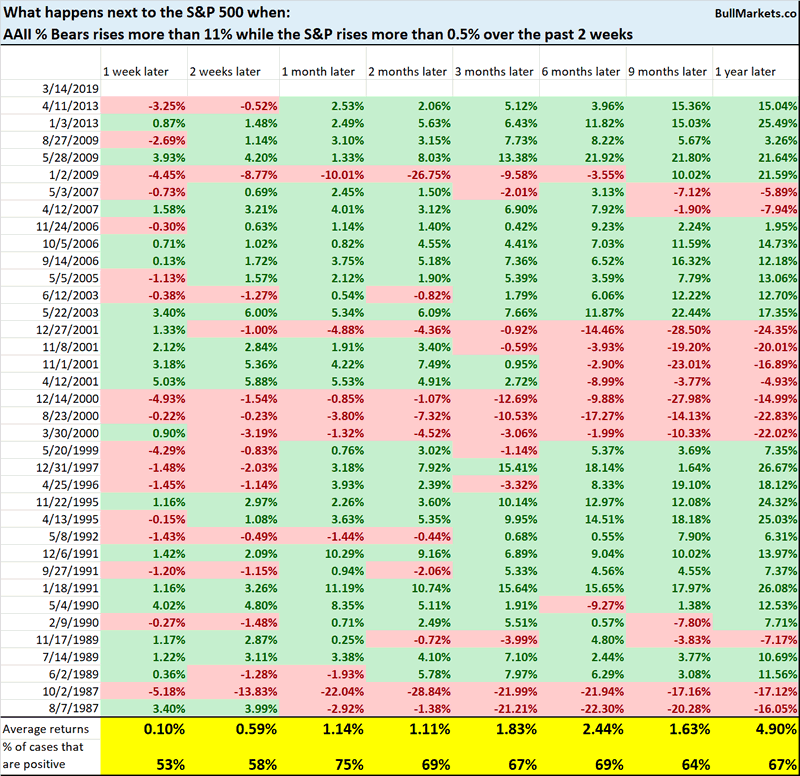 Every historical case occurred when a bear market had already began, with the exception of September 2006. For the September 2006 case, the bear market began 1 year later. That in my mind is the most optimistic case. Either way, think risk-reward. 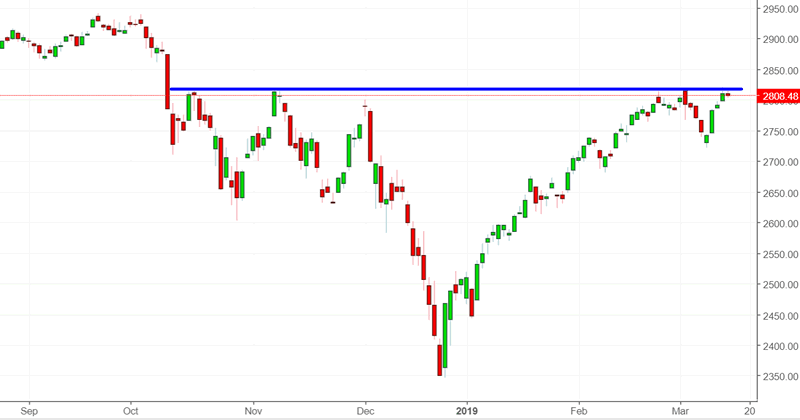 Even if the stock market keeps going up throughout 2019 (which is what price action suggests), would you want to be long, knowing that all the long term risk is to the downside? The S&P significantly outperformed the Dow this Monday and Tuesday. This is partially because Boeing stock cratered. (The Dow’s problem is that since it only consists of 30 stocks, each stock has a big impact on the index in the short term). A recent Market Watch article said “this is the first time since 2009 in which the Dow underperformed the S&P by so much”. I’m usually wary of phrases such as “this is the first time XYZ happened since 2008/2009”. Those phrases are usually used by people who are trying to sensationalize events in order to attract your attention. E.g. “this is the first time XYZ happened since 2008, but it also happened 40 other times before 2008” does not make for an attention-grabbing headline. 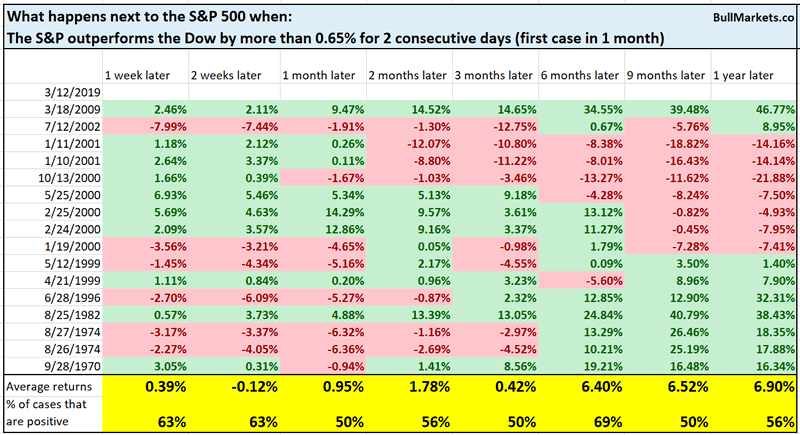 Here’s every single case from 1970-present in which the S&P outperformed the Dow by more than 0.65% over 2 consecutive days. As you can see, this happens quite often near bull market tops and bear market bottoms. That’s sensical. When the S&P goes up e.g. 4% a day, it’s easy for the Dow to only go up 3%. Markets are very volatile around bear markets, which makes “significant outperformance/underperformance” easy to come by. 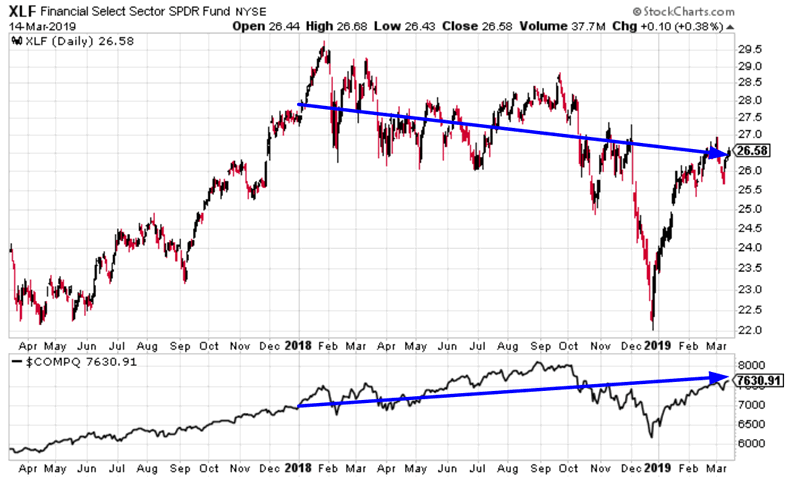 Is this “divergence” a bearish contrarian sign? Do AAII members “know something that we don’t”? (Sentiment usually moves inline with the market itself. I.e. as the market crashes, sentiment becomes bearish. As the market rises, sentiment becomes bullish). Apparently this divergence between sentiment and price happens all the time. Neither consistently bullish nor bearish.